Pills On The Job: Companies Add Prescription Services : Shots - Health News Some companies are adding drug dispensaries to their on-site health clinics. Others are offering concierge services that deliver drugs right to workers' desks. The companies hope to improve workers' compliance with doctors' orders by making it easier to get prescriptions filled. On-the-job filling of prescriptions is becoming more common. Nearly everybody has to fill a prescription now and then. For a lot us, there are several to fill each month. To make it easier, some companies are adding drug dispensaries to their on-site health clinics. Others offer concierge services that deliver drugs right to workers' desks. Now, it's true that people could also fill their usual prescriptions by mail, something many employers and managers of pharmacy benefits encourage with lower copays. But there are some potential advantages to the on-the-job approach. "One benefit of an on-site pharmacy is that employers can couple it with education," says Julie Stone, a senior consultant with human resources consultant Towers Watson. Another plus from an employer perspective: keeping workers at the office. "Some employers want to provide Main Street USA, keeping employees on site and providing them with the services they'd otherwise be leaving the office for," says Ed McNamara, vice president of sales and marketing for CHS Health Services, which operates 115 health centers in 32 states. Making necessary drugs available on the job removes one more barrier that may stop people from sticking to their drug regimen. Lack of adherence with doctors' prescriptions adds an estimated $100 billion to health care spending annually by some estimates. Some employers also eliminate copayments for some common drugs at the on-site dispensaries. Don't expect the full range of medicines offered at the local drugstore. 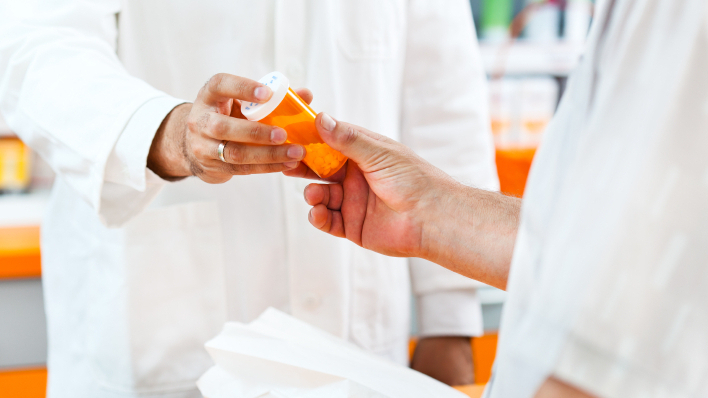 Although some big companies have full pharmacies, it's more common for companies to stock 50 or so common drugs in prepackaged containers, "so they don't need a pharmacist on site," says Bruce Hochstadt, with benefits consultant Mercer. Others make arrangements with a local pharmacy to deliver drugs to the company a few times a day. Onsite pharmacies are more appealing to many employers than some other services they might offer, like X-rays. "The convenience is there for the employee, but there's less of an investment up front," says Ha Tu, a senior researcher at the Center for Studying Health System Change.